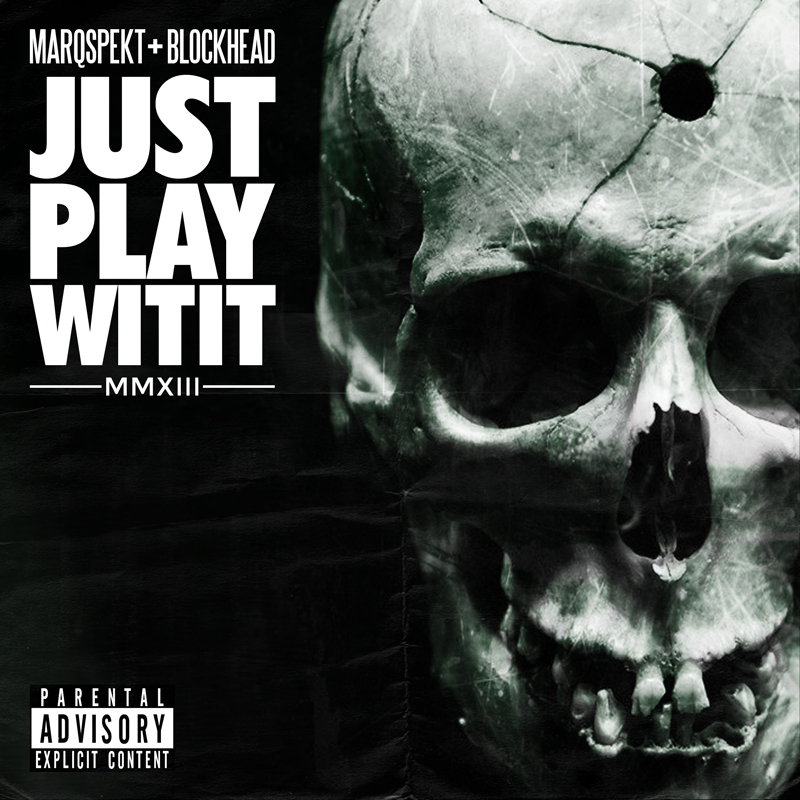 My boy MarQ Spekt and I got a finished album waiting for you guys called “Justplaywitit”. I did all the beats and he did all the raps. Not sure when it’ll drop but hopefully soon enough. It’s my third album with an MC this year and I’m really proud of it as, not only is is a great album but it sounds nothing like the other two albums I did (speaking of which, peep “Capture the sun” By Illogic and “Dour Candy” By Billy Woods!) . Our boy Dallas Penn was nice enough to make a video of the song “Hangliding thru the city”. So here’s a first taste of what’s to come. Enjoy. This entry was posted in blockhead, Music, video and tagged blockhead, dallas penn, justplaywitit, marq spekt, video by Blockhead. Bookmark the permalink. Sounds good. Good to hear your keeping busy. even the skulls teeth have a gap. dope ! well done ! Blockhead stays winning in 2013! When do we get the album with the girl singer? The Mighty Jones? It’s all recorded and the mixing is happening. Dunno what the game plan is for the actual release but I hope sooner than later.